YUREK LAZOWSKI - 10/29/14 - 7/6/80 - Reknowned classical dancer, choreographer, ballet and character teacher. When teaching, Mr. Lazowski speaks quietly and gently with a distinct foreign accent. 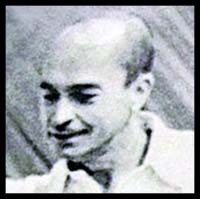 He was in Michel Fokine’s restaging of “Petrouchka” in 1940 and was a leading character dancer and teacher. He has always supervised the Joffrey productions and his works are well-known in the classical ballet field.